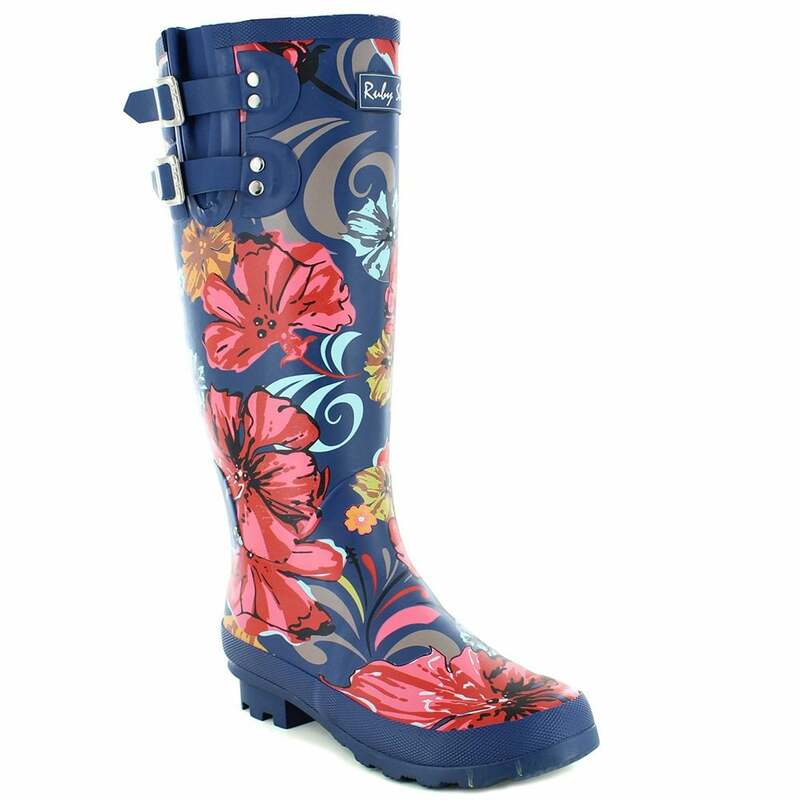 Sing and dance in the rain in these beautiful womens knee high wellington boots from Ruby Shoo. Just perfect for jumping in puddles in style, the Ruby Shoo Esme has a floral print in coral, blue and gold on a dark blue background. The topline has an expandable envelope vent with two pair of adjustable straps secured with silver coloured buckles bearing the Ruby Shoo branding. Inside, the Esme is lines in a blue and white polka-dot fabric while its sole is ridged to enhance grip. Create a splash and get yourself a pair of Ruby Shoo Esme womens knee high welling to boots now!